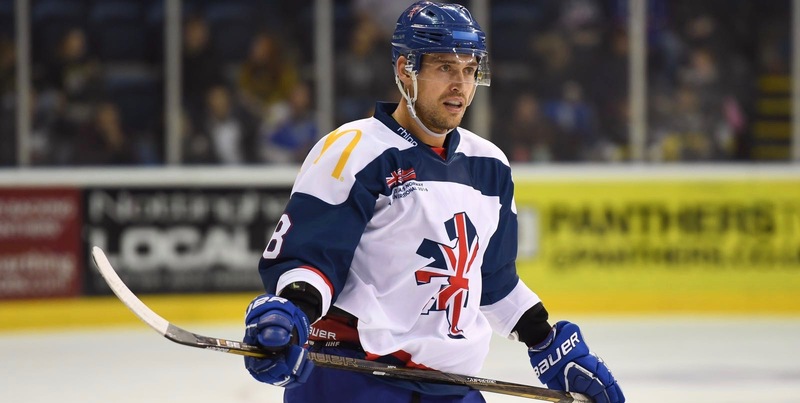 Forward Matthew Myers says Great Britain's preparations for next week's World Championship in Budapest are going very well following the first week in Coventry. GB round off the week with two games against Lithuania this weekend with the two sides meeting in Milton Keynes tomorrow (7pm) and in Coventry's Skydome on Sunday (5:15pm). The 28-man squad will then be cut to roster of 23 to represent Great Britain in Division I Group A of the World Championship in Hungary. "It has been a good week," said Myers. "We have had two training sessions a day and they have gone really well. "The spirit among the GB boys is really good, but the anticipation is even higher this year with everyone wanting to be on the plane to Budapest. "Next week's tournament will be a real test and everyone wants to be a part of it and wear the GB shirt." Myers, who scored twice in last year's gold-medal game against Japan to secure promotion to world ice hockey's second tier, won the playoffs last weekend with his hometown club Cardiff Devils. But the 33-year-old says there's no bragging in the GB dressing room. "The domestic season is done and dusted - that's all in the past," continued Myers. "The British boys all have a great rivalry in the season, but once we meet for GB that is all forgotten about and we are one unit. To buy tickets for GB against Lithuania at Planet Ice Arena Milton Keynes, visit the box office, click HERE or telephone 01908 540020. Away seating is in block nine. To buy tickets for GB against Lithuania at the Skydome in Coventry, visit the Skydome box office, click HERE or call 02476 630693. Away seating is in bock eight.